Do you have the chance to do what you do best each day at work? Have you had a meaningful conversation about people’s strengths in your team lately? Would an energizing and engaging approach to improving employee engagement, customer satisfaction and profitability in your company be of value right now? Then this book is your evidence-based blueprint to discovering, developing, and delivering on people’s strengths — those things they’re good at and actually enjoy doing – at work. You see our strengths represent our patterns of thinking, feeling and behaving that when exercised, can excite, engage, and energize us. They’re how our brains are wired to perform at their best. 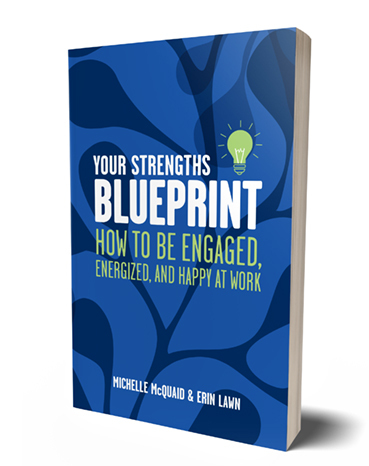 As a result, a growing body of research reviewed in this book is finding that when it comes to our careers, developing our strengths help to improve your confidence, wellbeing and performance at work. And in teams where most people have the chance to do what they do best, studies have found they report lower turnover, increased productivity, and higher levels of customer satisfaction. Explore tested tools to help you discover what your strengths are, including a detailed breakdown of the twenty-four character strengths as outlined in the VIA Survey and how you can use these at work. Create a practical step-by-step, busy proof plan to develop your strengths at work each day and start doing more of what you do best. Embed a strengths-based approach for people management into your organization using templates for recruitment, performance management, and performance reviews. "With Michelle's help I was able to make the decision to quit my job and find a position that was better suited to my strengths, move house, take an adventure holiday and build on my personal relationships. I strongly recommend her to anyone who wants to enhance their lives, make changes, and be the best that they can be!"